Artist Peppe Dale caught the eyes of both Drake and Rihanna after he posted fan-art of them on Instagram, so much so that both follow him and have even 'liked' and 'regramed' his impressive work. We've picked out what we think are some of his best bits, take a look and find more at www.instagram.com/peppedale. 4. 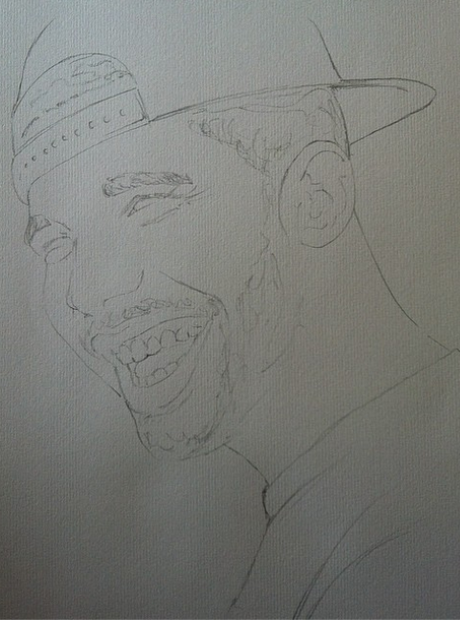 Drake: The final piece. 12. Nicji Minaj: The final piece. 14. Tupac: The final piece. 17. Rihanna 2: The final piece. See more of Peppedale's work on Instagram/PeppeDale.